VICTORIA, BC – Vancouver Island Brewery has announced the return of a popular seasonal release from last year, with the addition of a charity partner for this year’s edition. Just like the eerie sensation that local cavers feel when going “lights out” in one of the Island’s 1,000+ recorded caves, our IDA is a deep descent into your taste buds. Dark in colour with a prominent Northwest hop aroma, the body is balanced with semi-sweet malt flavours of roasted coffee and chocolate. So go on and take a sip into absolute darkness. 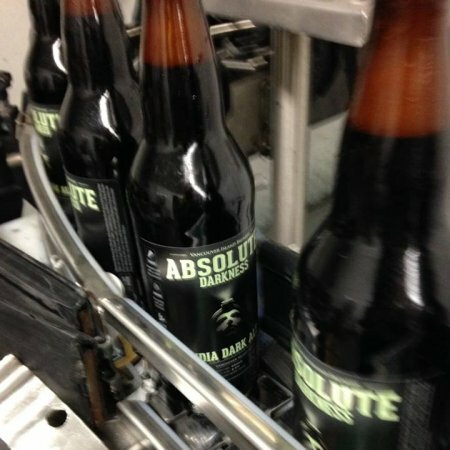 Absolute Darkness is available now in 650 ml bottles at the VIB retail store, and is being distributed to select liquor stores in British Columbia this week. Partial proceeds from each sale will be donated to the Horne Lake Caves Outdoor Centre in support of the Canadian Cave Conservancy. For more details, see the full release announcement on the VIB website.